With 127 pairs of matching photographs, Washington, D.C., Past and Present takes the reader on a journey through time. The author has found 127 fine vintage photographs of the Washington, D.C., and the Virginia and Maryland suburbs and has rephotographed each site from exactly the same vantage point. Readers will be astonished by how much and, in some cases, how little the city has changed. Accompanying the 254 then and now photographs are thoroughly researched captions that describe the forces that have transformed Washington, D.C., since it was first photographed in 1846. 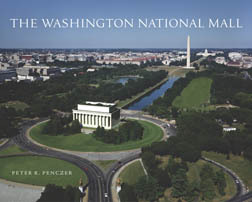 Washington, D.C., Past and Present was orginally published in 1998 and went through four printings. It was revised and updated for the fourth printing in 2002. Washington, D.C., Past and Present is out of print, but it is available used at abebooks.com and amazon.com.